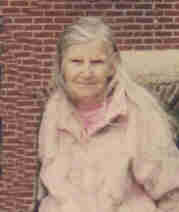 Penny E. Harbey, age 88, of Faribault, formerly of Albert Lea and Glendale, AZ, died on Wednesday, December 19, 2007 at Infinia at Faribault Health Care Center. Private services will be held for the family. Spring interment will be at Meadow Ridge Memorial Park, Faribault. Ethel Minnie Brown was born on August 23, 1919 in Minneapolis to William and Ada (Kind) Brown. She married Jens Jepson and he preceded her in death. Later, she married Claude Harbey and he also preceded her in death. She was formerly employed by St. John’s Care Center in Albert Lea. She later owned Sunny Acres Greenhouse and Penny’s Poodle Parlor both of Albert Lea. She was a master dollmaker. She is survived by three children, Jerry (and Donna) Jepson of Elkhart, IN, Mary L. (Christenson) Harriman of Albert Lea and Dorothy “Dolly” (and Eldon) Hunt of Faribault; 15 grandchildren; 22 great grandchildren and 1 great, great grandchild. She was preceded in death by her two husbands, Jens and Claude; two sons, Curtis and Robert Jepson; one granddaughter, Rhonda Christenson; one great grandson, Taylor Patrick Bernard; and two sons in law, Harold Christenson and William “Bill” Harriman. Mom was one of those Angels who didn't live in heaven while she was on this earth,but the earth here has it"s share of Angels too to watch over all of us. They're the people whose kindness makes earth seem like heaven, and one of the dearest was her. I Love her dearly and always will keep her in my heart.God needed her much more than me being her daughter. She taught me how to be kind, loving and thoughtful and encouraged me to be only the best I can be. I love you mom always.